There are many things in this world to be angry about. For now, the rage of the internet has been directly squared at this man. Internet users could not handle the video of a man eating Chicken McNuggets in a unique manner. 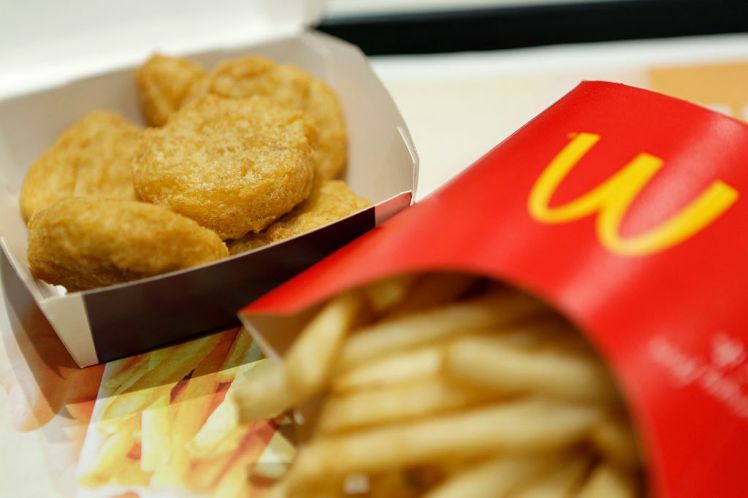 A man dressed in a suit was filmed eating chicken nuggets at McDonald’s outlet that the internet users found inappropriate. The video shows the man, eating chicken nuggets and fries with a plastic fork after dipping it in a sauce, which social media users thought was unacceptable. Naturally, this has caused waves of anger around the internet. People have rushed to comment on the video to let the man know he is an ‘animal’ and ‘sick in the head’. Indeed, his eating habits are not entirely popular. Some have even questioned whether the diner is a “serial killer”. The video of the man posted on comedy page Brown Cardigan went viral with people teaching the man how to eat nuggets. 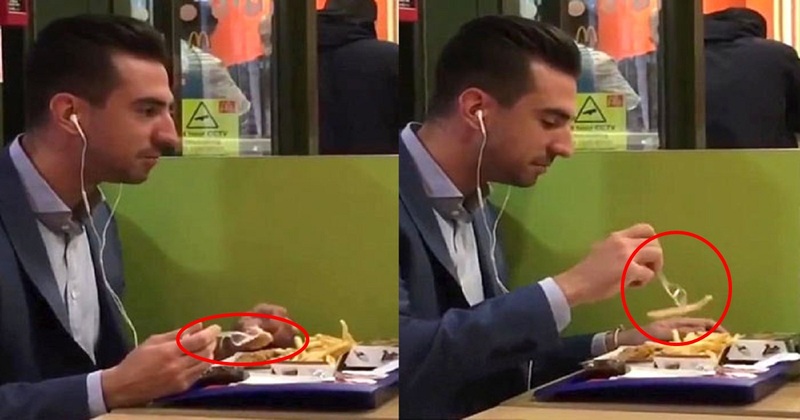 People publicly decided to be judgmental and said everything they wanted to ensure the man eats with his hands the next time. Now, some may argue that the man in the suit is simply enjoying his nuggets free of the risk of getting sauce or oil on his hands. Some may say that this is actually a rather smart technique if you’re on your lunch break, wearing a suit, and don’t particularly want to get any greasy stains on your posh clothing. wtf why are there ppl freaking out about a guy using a fork to eat chicken nuggets? But, hey Nugget Man, if you are out there reading this, always remember you can eat your food with the cutlery you find comfortable.